Last Sunday was most definitely the nicest day of the year so far. 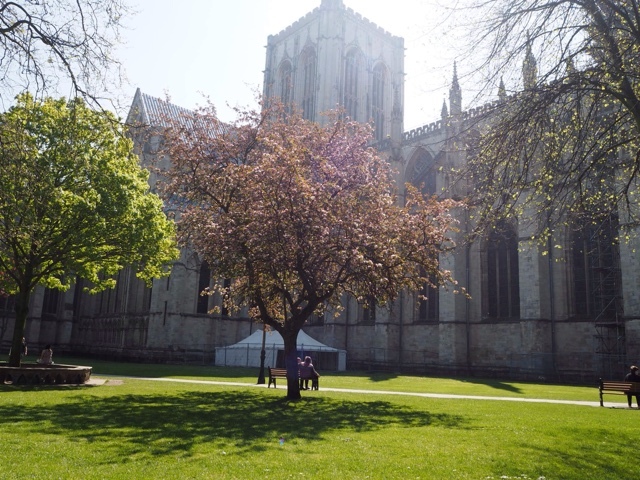 James and I hadn't made any plans so when we opened our curtains in the morning and saw the glorious sunshine, we decided to get dressed and head out to our closest green space; The Minster Gardens in York City Centre. 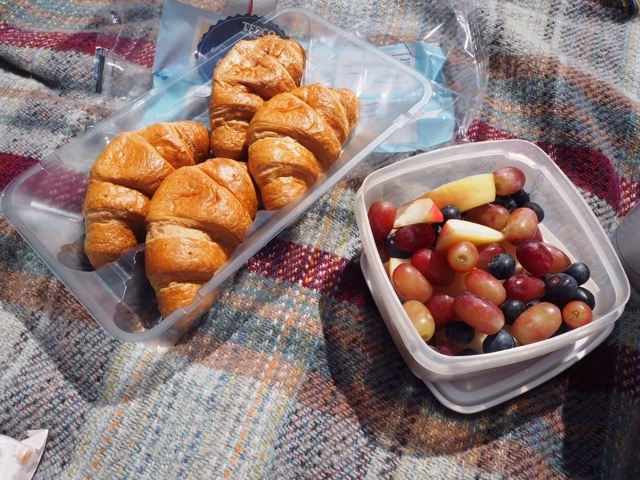 We made a cute little breakfast picnic which consisted of chopped apple, grapes and blueberries, as well as a few croissants and a flask of tea and coffee. 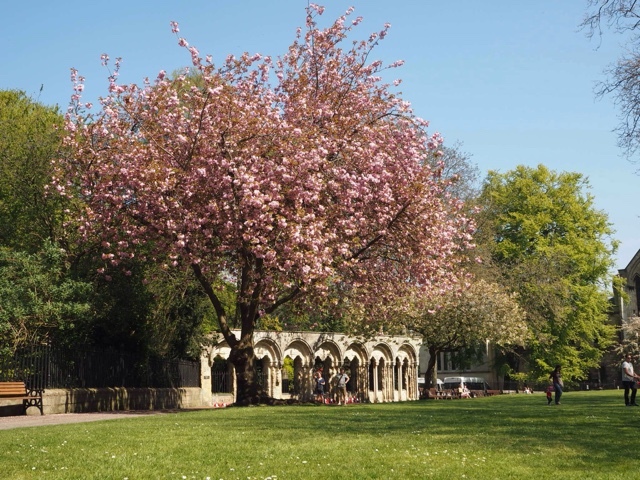 We took our wool picnic blanket that I bought from the National Trust Shop and picked a lovely spot around the back of The Minster next to a beautiful cherry blossom tree. 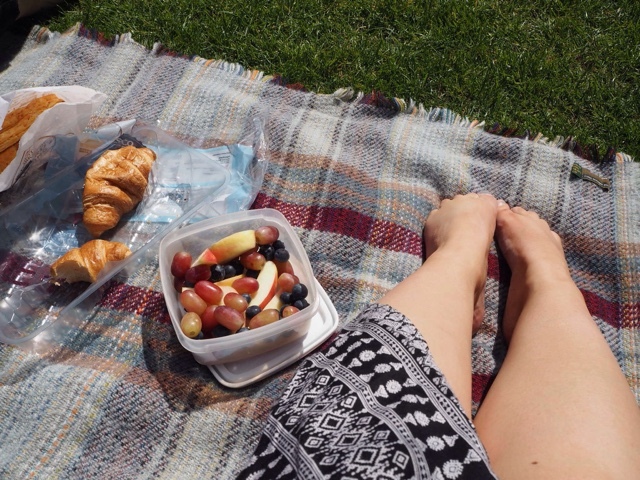 It was such a lovely way to start a lazy Sunday, spending the morning laying in the sun and chatting about our plans for the following week. Plus, we got to get some colour on our pasty arms and legs for the first time in forever! 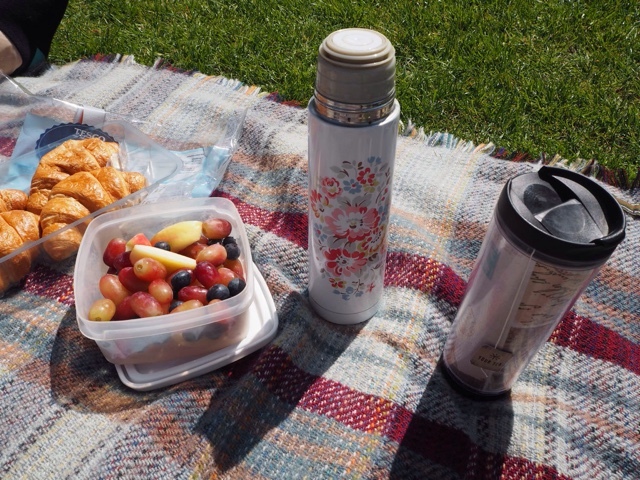 I hope you had a lovely Sunday enjoying the sunshine, what did you get up too?